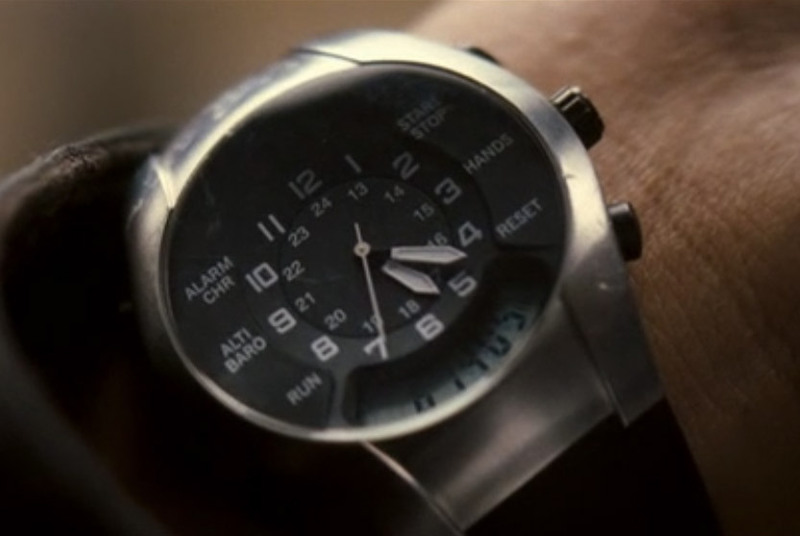 Victorinox Swiss Army ST 4000 chrono worn by Will Smith in I Am Legend, note the missing Victorinox logo, replaced by number 12. The only sightings of the second watch. Two white subdials on a dark dial and a double buckle can clearly be seen. The Hamilton Khaki X-Wind Automatic, the watch that looks most similar to the one worn by Will Smith. 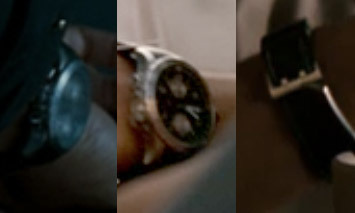 Will Smith, in the movie I Am Legend, wears two watches. 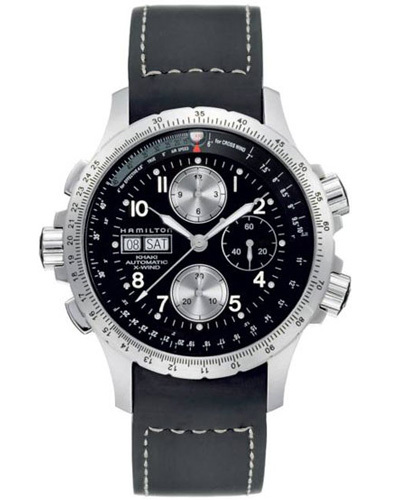 The most clearly visible is the Swiss Army ST 4000 (24077) watch from Victorinox. 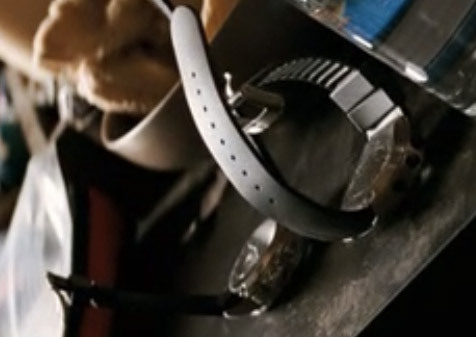 Some confusion exists about the watches in I Am Legend, Will Smith's character, in the first three quarters of the film, wears two watches, one of which sounds an alarm when dusk is approaching (the freaks come out after sunset). Watch brand Hamilton claims that Will Smith is wearing a Hamilton Khaki Sunset Watch. But the dial is clearly different, although the strap looks similar. So the watch could be a Hamilton, and it is suggested [here] that the watch is a Hamilton Khaki X-Wind, which would make sense, since two white dials can be seen in one of the shots (see image on the left). The only close up of a watch we get shows a Victorinox Swiss Army ST 4000 chrono. The swiss logo is digitally or actually removed and replaced by the number 12, maybe because Hamitlon sponsored the film and didn't want another watch brand to be seen. It is not clear why the close up wasn't made of an actual Hamilton watch. 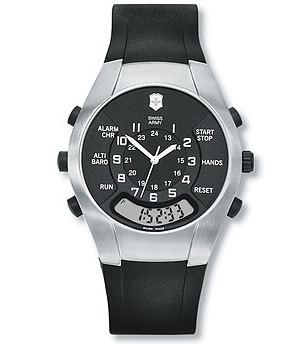 The Victorinox Swiss Army has a steel case, black rubber strap, and many functions, including an Alarm, Altimeter, Barometer, Date Indicator, Stopwatch and Thermometer.